The bears in Nanning have had another visit from the Animals Asia vet team and this time it was our girl’s turn to have a health check too. We were very happy to hear from the UK office this morning that despite being slightly toothless now she is in good overall health. 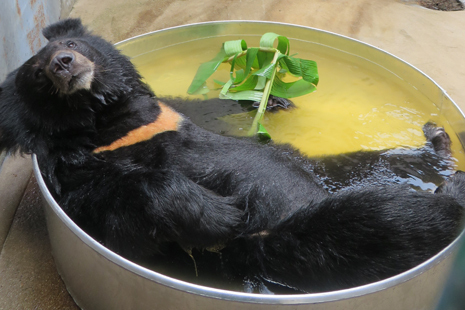 This entry was posted on Thursday, January 22nd, 2015 at 4:26 pm	and tagged with Animals Asia, London Bear, Moon bear rescue, Nanning Bear Farm and posted in Animals Asia. You can follow any responses to this entry through the RSS 2.0 feed.